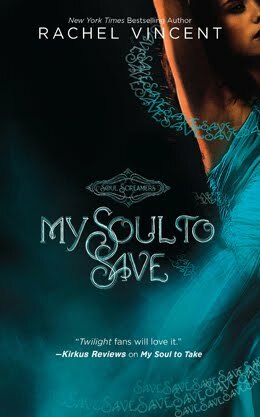 A Book Dork: Review of "My Soul to Save"
Synopsis: When Kaylee Cavanaugh screams, someone dies. I really loved the first "Soul Screamers" book "My Soul to Take", but "My Soul to Save" just didn't have the same feel to me. I really enjoyed the plot about teens selling their souls to demons in order to become A List celebrities. It was believable that stars would accept such an exchange in order to keep their careers booming and it was also believable that they wouldn't consider how terrible eternity in the Netherworld would truly be. I'm not sure why, but the characters that I loved in the first book fell flat to me in this second installment. It seemed like more attention was paid to the plot than continuing to develop the characters. The whole book centers around a character named Addison, but I just didn't like her. I honestly can't say why because I felt like Vincent did her best to portray her in a way that should bring sympathy to her character. My favorite thing about this book was that the characters got the chance to explore the Netherworld. Vincent did a great job creating another dimension that paralleled our world in many ways, but had terrifying alterations. I hope "My Soul to Keep", the next book in the series, spends more time in the the Netherworld. Even if it doesn't, it still sounds like a really interesting book. If you want to learn more about Rachel Vincent's books check out her website here. "My Soul to Keep" comes out June 1st and I know I will be reading it! I just hope Vincent is able to bring back my love for Todd and the other characters. I have read the first book in the series, but I still haven't bought and read this one. I really want too! Too bad that the characters felt flat this time, but it's great to hear that they do spend more time in the Netherworld! Hopefully the next installment will be better. I was the opposite. I liked the development of the main character and her posse, but the main plot didn't hold my interest. 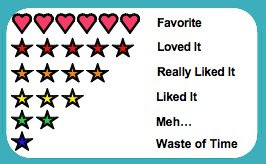 Part of it was that I didn't feel much connection to Addison, but it was mostly that I'm so over the Disney kids and their foibles. I haven't read Rachel Vincent yet. This looks interesting.